1. 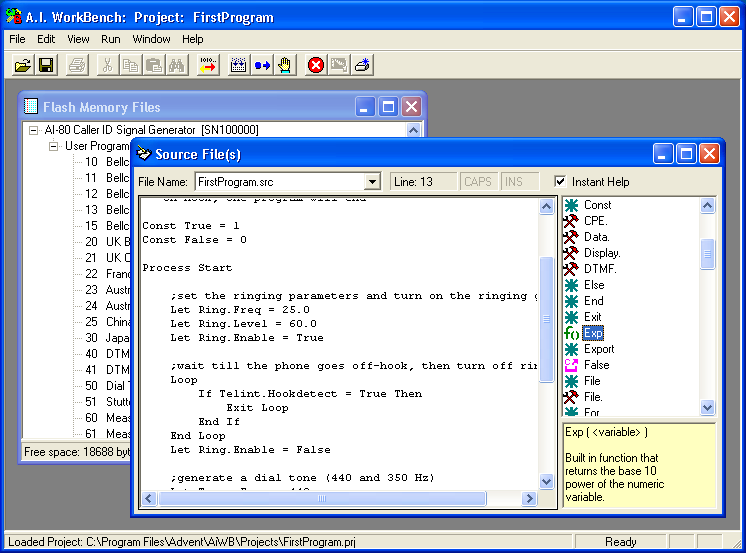 The A.I.Workbench software is used to create custom test programs for the AI-80. These programs are then downloaded into the AI-80's flash memory for stand alone operation. Example programs are included for various testing application, such as sending Caller ID and performing dialing tests. 2. 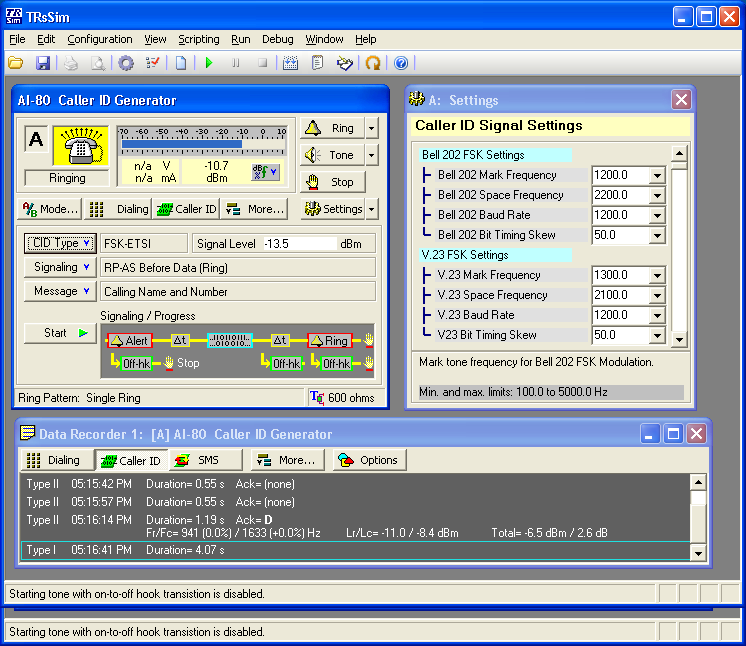 The included CidLite software is a simple and easy to use program for generating Caller ID on the AI-80. It supports various international Caller ID standards. 3. 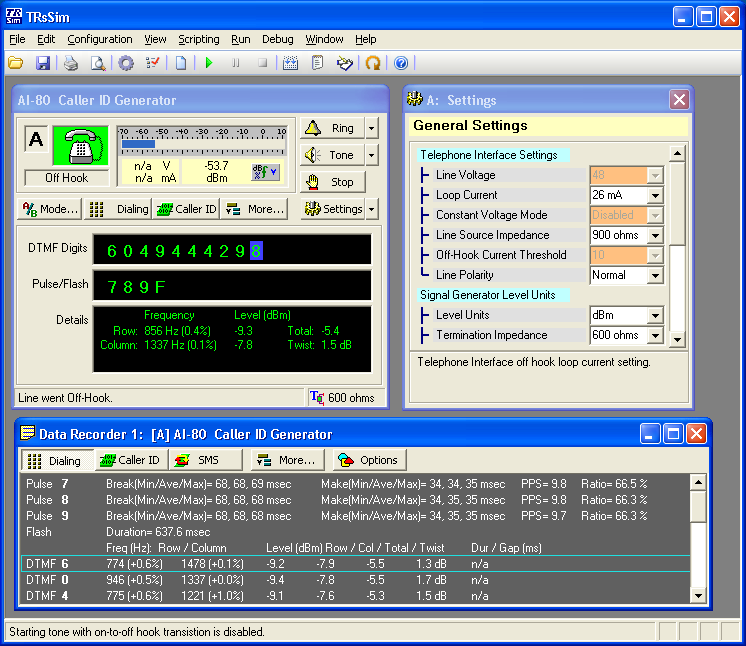 The optional TRsSim software provides a sophisticated graphical interface for controlling the AI-80. This example shows the display of detected DTMF and pulse dialing digits. 4. 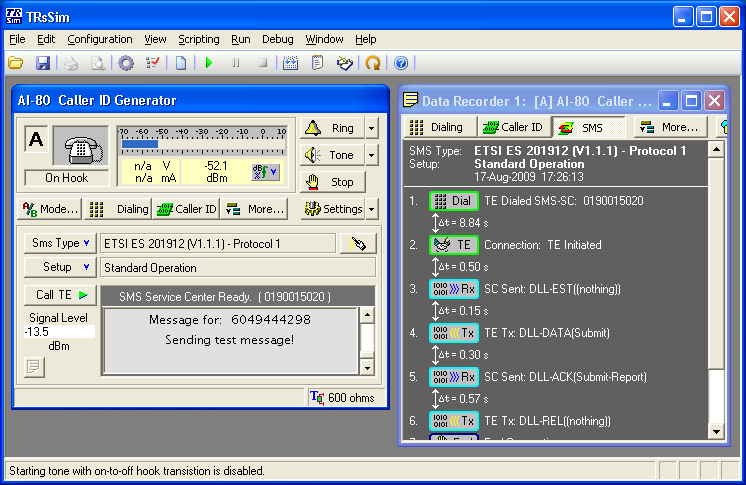 Example of sending a type I (on-hook) ETSI FSK based Caller ID message. The TRsSim software provides a wide range of flexibility in configuring both the physical layer and data layer for the Caller ID message. 5. 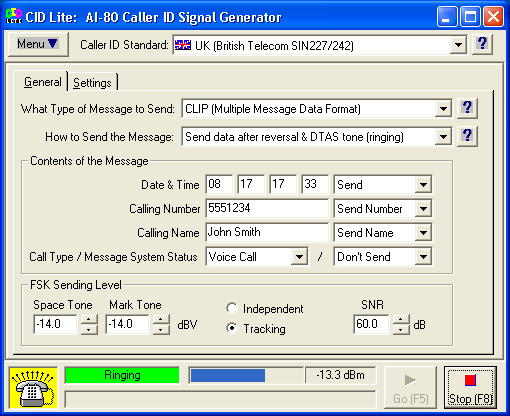 Reception of SMS from a terminal equipment device. The AI-80 logs each event in the transaction, including the contents of each FSK message sent or received. Both ETSI fixed line SMS protocol 1 and protocol 2 are supported. Copyright © Advent Instruments Inc. All rights reserved.